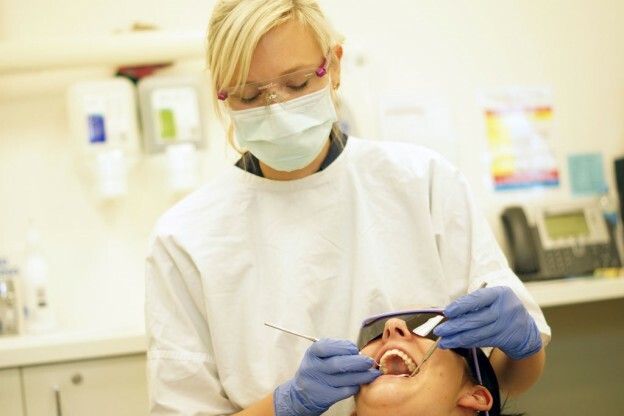 The Community Dental Service at GV Health is a 12 chair clinic located at the Graham Street Campus. The clinic provides quality emergency, general, denture, and preventative dental care to all age groups. People seeking services must have a current Healthcare or Pension Card. All emergencies undergo a triage assessment and are placed into one of five categories. The treatment time frame depends on the urgency of the dental problem. Treatment is provided to alleviate pain in cases of toothaches, dental swellings, broken teeth and fillings. Contact the dental clinic on 03 58323050. All children aged 0-12 years old can receive dental care at the GV Health Dental Service. If you or your child has a current concession card, they will receive free general dental care. You will need to present the current health care card or pension card at first appointment. If you do not have a concession card but receive Family Tax Benefit A, the Children’s Dental Benefits Scheme offers $1000 over two years for treatment. A Medicare card is required at appointment time. *Please note young people aged 13-17 year old with no concession card or Family Tax Benefit A may not be eligible for public dental care. Please contact us for more information.